Building Regulations: how do they apply to renovation and conversion projects? This is the first in what I hope will be a series of blogs that will discuss the Building Regulations, explain what they are and how they apply to renovations and conversions. I will also explain how the Regulations differ between the two types of work. Firstly, what are Building Regulations and how do they differ from Planning permission? 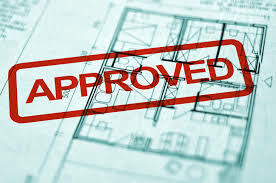 Some homeowners are unaware that they will require Building Regulation approval for work that they are planning to carry out, believing that once they received Planning permission (if it is required), that is all that is required do and they can carry on with the building work. This is not the case as it is more than likely that Building Regulation approval will also be required, even if the work being undertaken is not structural. Confusingly, some building work will require both Planning permission and Building Regulation approval, some will require only Planning permission and some will require only Building Regulation approval. To put the differences between the two in simple terms, Planning permission relates to the principal of development, covering issues such as siting, scale and appearance, whereas the Building Regulations deal with the technical issues such as structural stability, fire drainage and energy conservation. The other significant difference between the two is that Planning permission is administered by the local Council, whereas Building Regulations are administered by private companies such as Approved Inspectors, who operate nationally, or the local Council. The Building Regulations 2010, as amended, are the current version and these define what is meant by building work, what does and does not require approval and which parts of the Regulations then apply to that work. These Regulations are the ‘legal bit’ and do not contain any technical detail, which is in a number of Approved Documents. These documents show one way of meeting the requirements of the Building Regulations, but they are not the only way and there are alternatives. I would point out though that, if you should choose not to follow the guidance in the Approved Documents, the onus falls upon you to show that you have met the requirements of the Regulations. This could be by following the guidance contained in a British Standard or, perhaps by a product manufacturer. The Regulations define what is meant by building work and this includes, new buildings, extensions, material alterations and changes of use (conversions). The Regulations also define building work as the provision or alteration of what it calls a controlled service or fitting, which means things like drainage, plumbing, heating and windows. Put simply, a renovation is when an existing house (or flat) is being altered and/or refurbished but still remains as a house or flat after the work has been carried out. Contrast this to a conversion which is a change in the use of a building to create a house (or houses) and flats. The most obvious example of this is the conversion of a barn to a house but could also be a house being divided into flats, or two houses being converted into one. It could also be a shop or office, for example, being converted into a house or flats. When carrying out either a renovation or conversion, there are obvious areas where the Regulations will apply, such as if you are making a structural alteration, or providing new drainage. In addition to this, less obvious matters are also covered by the Regulations, such as re-roofing, replastering and re-rendering walls and replacing windows. It is in the areas of energy conservation and sound insulation that the major differences between the two types of work occur and I will cover these and other matters in a future post.